These digital collections feature works by and about prominent literary figures. Audrey Alexandra Brown was born in Nanaimo, B.C. in 1904. 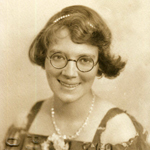 She published five volumes of verse, a diary, and newspaper articles, earning her the Lorne Pierce medal in 1944 and the Order of Canada in 1967. 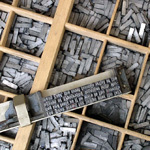 This selection of books have been digitized for preservation purposes where the original is too fragile to be repaired or rebound and/or too valuable to discard. In some cases we have additional copies available for viewing or loan; in others, the digital edition is our last remaining copy. This exhibit features a series of photographs taken by Gisèle Freund featuring James Joyce during his last years in Paris. Many of the photographs in the exhibit were previously unpublished and are presented under an agreement with the Estate of Gisèle Freund/IMEC Images. 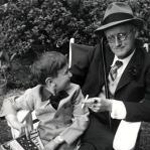 This online exhibit is a digital version of an exhibit held at the University of Victoria Special Collections and University Archives, which was the first time Gisèle Freund's James Joyce photographs had been shown in Canada. 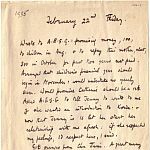 Special Collections houses Freund's personal and public material relating to the book, James Joyce in Paris: His Final Years. 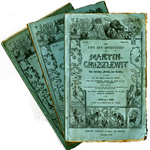 Throughout the Victorian period, novels in serial parts were published in abundance in newspapers and magazines, by far the most popular form, or in discreet parts issued in instalments, usually twenty monthly issues. This collaborative student project was built by Dr. Alison Chapman's UVic Research Methods graduate class (English 500), in the Fall of 2016 and 2017, to explore the literary treasures of Special Collections using an Omeka exhibit builder platform. 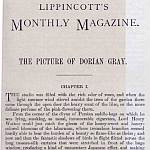 The selection of material, arranged under the themes of "The Book", "Authorship," "Readers" and "Paper", ranges from medieval monastic holy orders to an anarchist periodical from the late twentieth century, and covers a wide selection of print material (poetry, novels, magazines, philosophical works, translations, editions, anthologies, and autobiography). 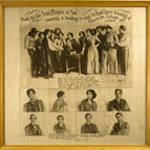 The exhibit highlights Special Collections and University Archives collaboration with faculty and students to support collections-based research and experiential learning in the humanities classroom. 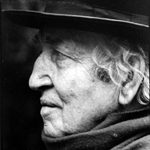 Robert Graves (1895-1985) is a major 20th-century English poet, novelist and essayist. After founding the Seizin Press he moved to Deya, Majorca. Graves' diary manuscript includes 1,546 pages including 117 enclosures: letters, clippings, photographs post cards, notes, games, etc. Photographs taken to supplement the July, 1975 edition of the University of Victoria's Malahat Review, issue number 35 edited by Robin Skelton and William David Thomas. The edition was subtitled "A Gathering in Celebration of the Eightieth Birthday of Robert Graves". Wyndham Lewis, (1882–1957), artist and writer, is perhaps best known for forming a group of artists and writers known as the Vorticists (a term created by poet Ezra Pound in early 1914). 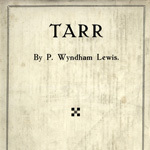 Ezra Pound arranged for Tarr, Lewis’s first novel, to be published in serial form in The Egoist magazine (1916-1917) while Lewis was serving during WWI.